developing world and undermining our efforts to end poverty. THIS IS EVERYDAY LIFE FOR THE WORLD’S POOREST. Imagine what life would be like if you woke up every day with nothing shielding you from violence. The Locust Effect will take you on a gripping journey that will forever change the way you see poverty and leave you with hope that we can help make the poor safe enough to thrive. All author royalties from your purchase of this book will help fight violence against the poor. For the poor, violence is as much a part of everyday life as hunger, illness, or unemployment — but it is more difficult to see. 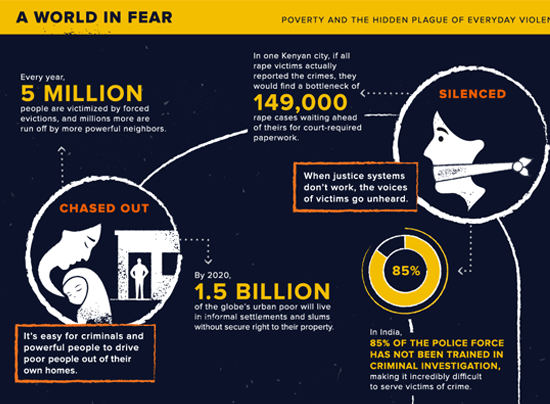 Without effective justice systems to protect them from violence, the world's poor live in a state of constant fear. Explore the reality of this violence and how it pervades their everyday. 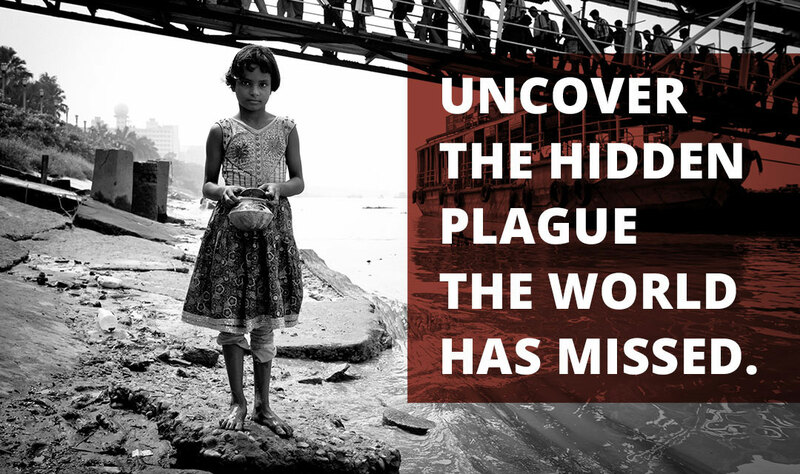 "…a wake-up call to everyone who cares about global poverty." "…a must-read for anyone interested in development, security, and the failure of billions of people to achieve their potential." "…this is the only way to secure a human future for mankind." "...Gary Haugen has issued a moral call to arms that informs the brain and touches the heart." "…a compelling reminder that…we cannot turn a blind eye to the violence that threatens our common humanity." "In a world of simplistic and knee-jerk responses to the world's problems, Gary Haugen arrives with insight, wisdom, and realism. The Locust Effect is a game-changer..."
Violence undermines opportunities to thrive. According to the World Health Organization, for many poor girls, school is the most common place for sexual violence. Learn more about the issue of everyday violence.